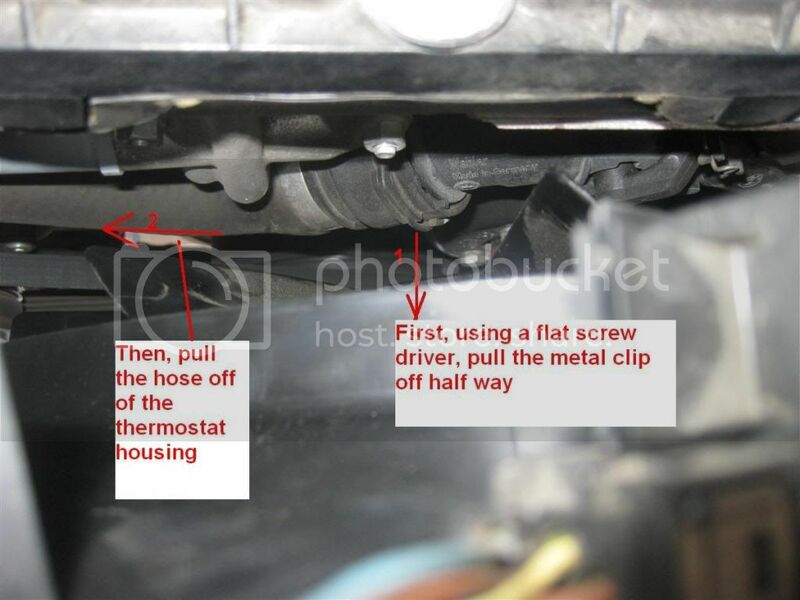 I took some pictures while I was doing this work, and thought I should put together this simple DIY for those who prefer to see how it is done before they start on their own. 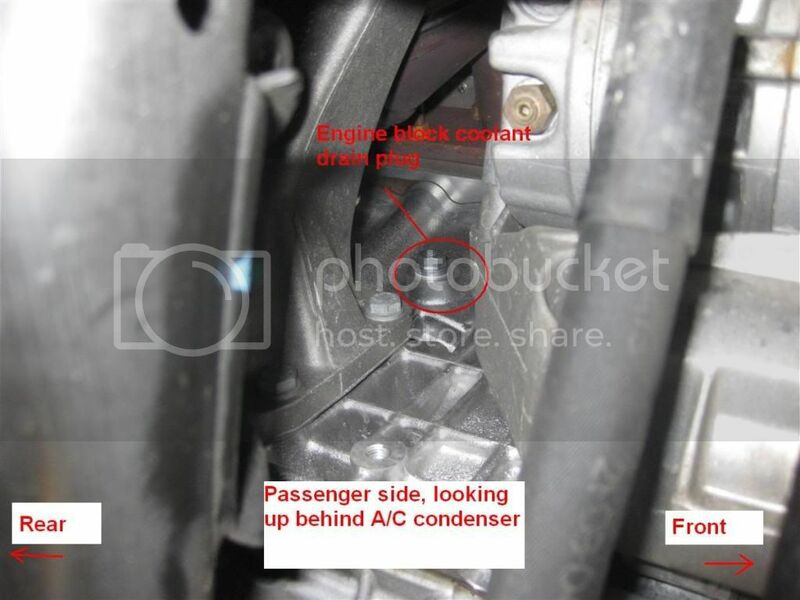 - I took off the plastic undercover/dirt shield under the engine. This was as easy as removing ten or so 8mm and 10mm bolts. 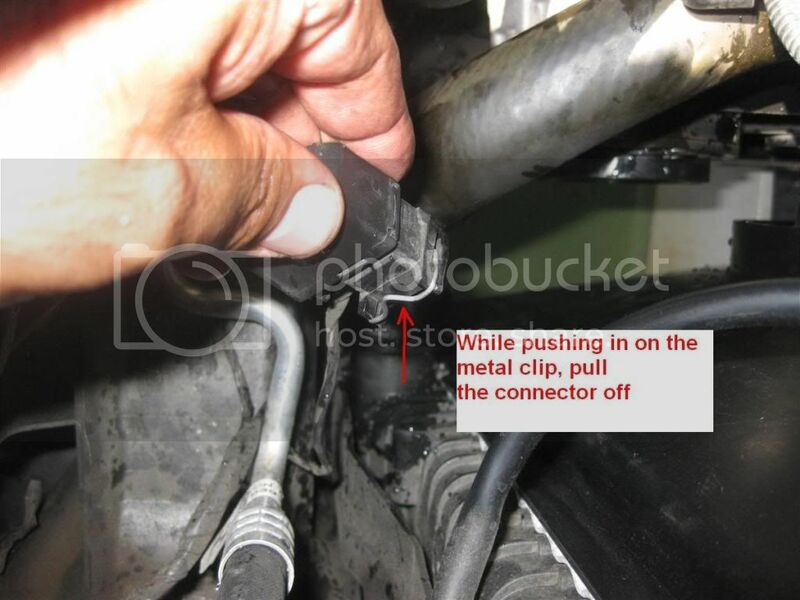 - both ends of the hose have metal clips that help lock it in place. 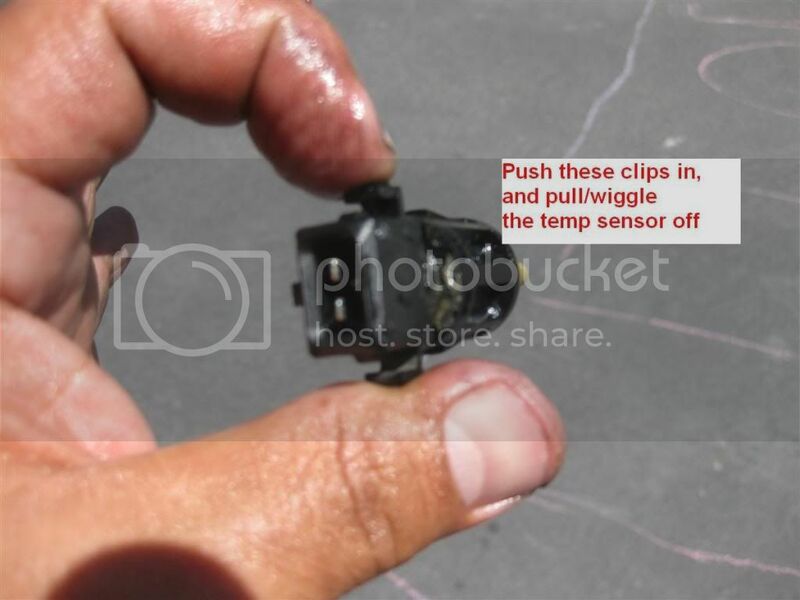 These clips must be pulled off half way to release (using a needle nose pliers or flat screw driver), and then the hose comes off by pulling it directly away from its connection point. I started with the top part (thermostat side) first. This was no problem and the hose came off easily after the metal clip was released. 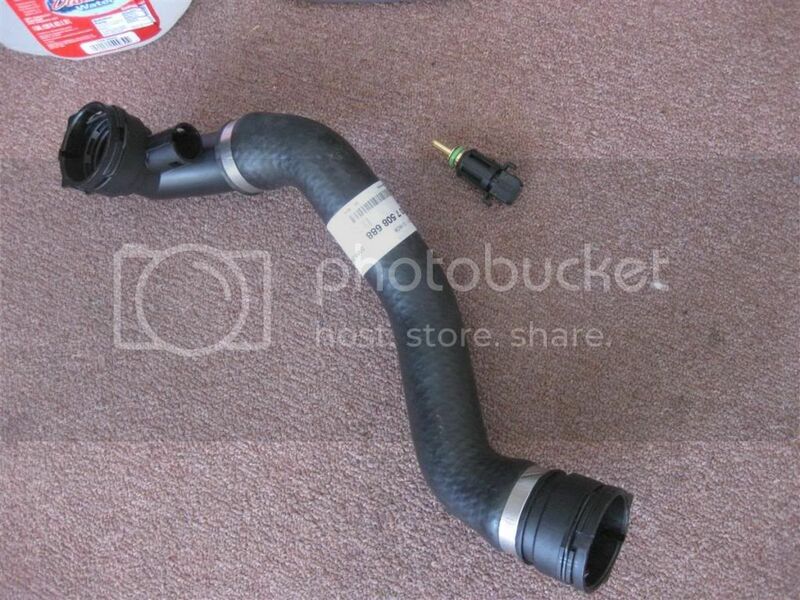 On the bottom part (radiator side), that was a different story. 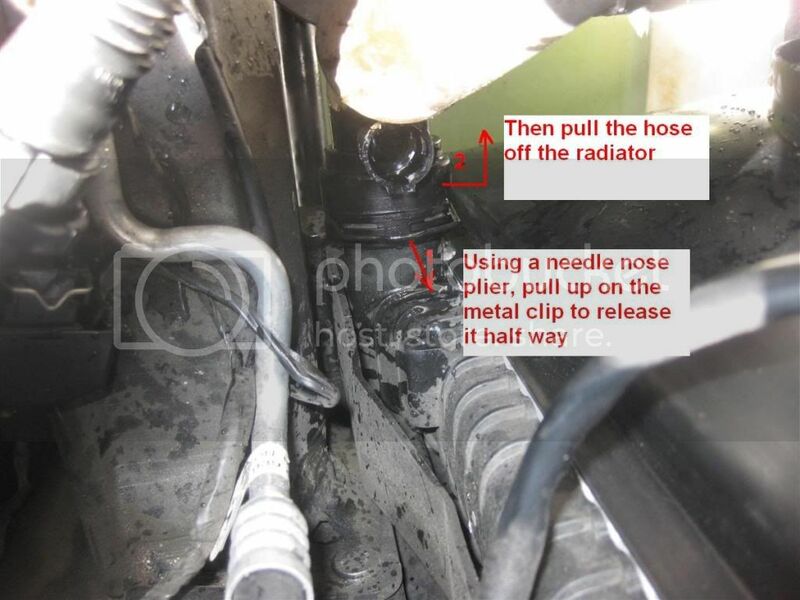 The hose seemed to have been baked into the radiator... after releasing the metal clip, no amount of pulling/wiggling on it worked. I finally went from the bottom side, and used a couple of screw drivers as levers to pull the damn thing off, all the while worried that I might be damaging the radiator or some other plastic part around it. 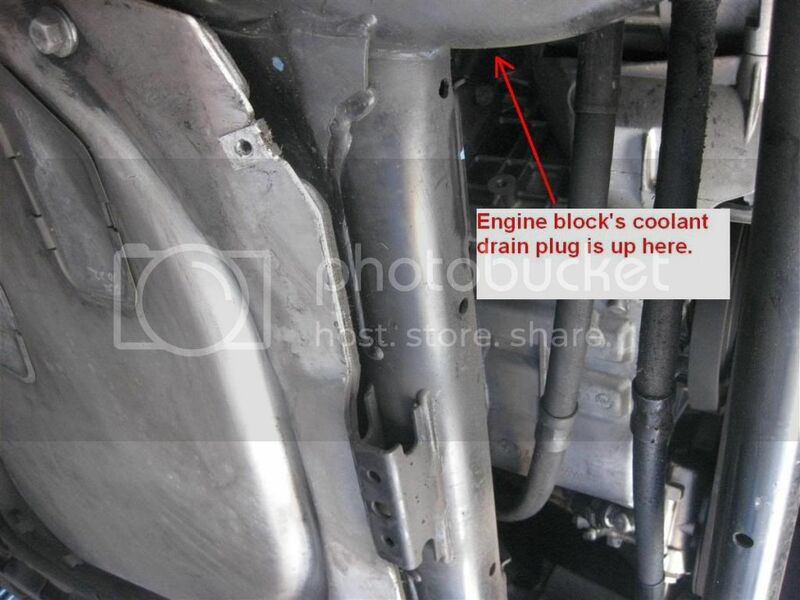 I applied a little bit of fresh coolant to the orings inside the hose, and first connected the top part (thermostat side), followed by the bottom part (radiator side). Pulled the metal clips half way out, then slide the hose all the way in, then push the metal clip back in to lock. 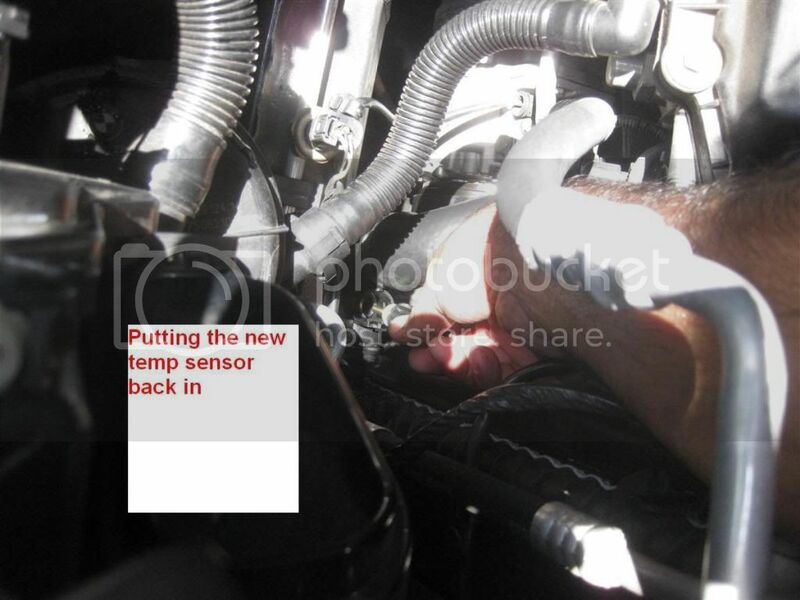 With both ends of the hose connected, I applied a bit of coolant to the oring of the new temp sensor and put it in. Then plugged in its electrical connector. -close bleeding screw and complete the fill up as needed. - and of course, put the bottom under cover/ shield back on. I went for a drive and it was all good. No leaks, no overheating. I will check the coolant level tomorrow morning to make sure it is at the right level. Last edited by faz; 09-12-2009 at 07:44 PM. Well done. I have been sitting on the parts for this for months. Thanks for the clear and concise write up. With any luck I can get to this this weekend. Even though it is a pretty straight forward DIY, I always feel better myself if I have seen some pictures before starting any work. The whole thing including drain and refill should not take more than an hour start to finish. 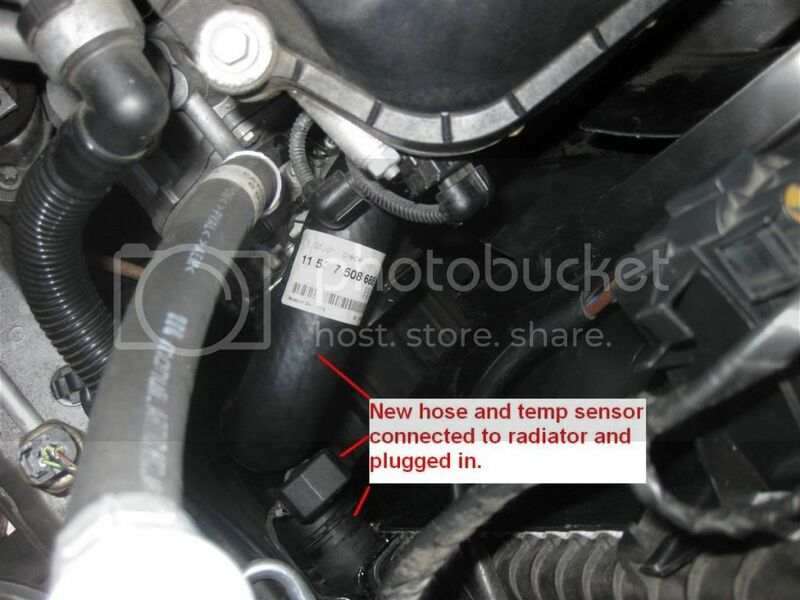 Please see the link that I posted in my top post (this one:http://www.xoutpost.com/bmw-sav-foru...-rad-hose.html) to see how I saw the leak. No need to take any covers off or anything. 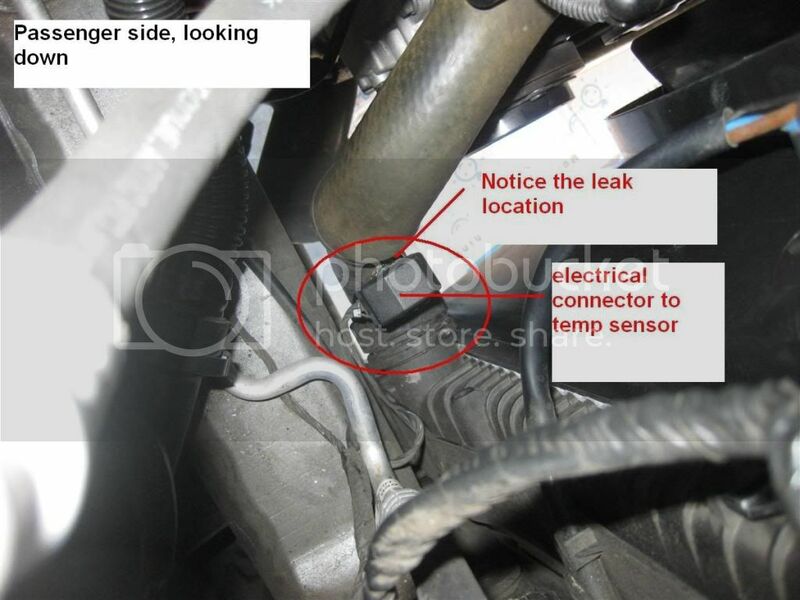 If it is a leak through that sensor, it is very little and sometimes hard to see. One way to see it if you drive around until it gets hot, then stop (say for lunch) and when you get back to the car, check that location. 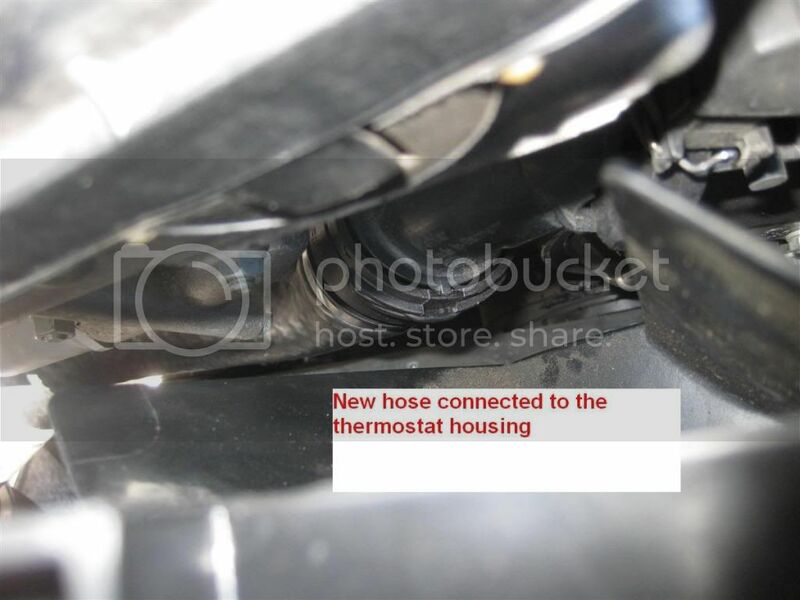 You should see some fluid on the bottom side of the hose (right below the sensor). At least that was the scenario in my case. Faz have you got a 4.4? mine is a 3.0d so may not be the same..is it part 5 in the pic? Sorry I edited the top post to specify this is for a 2005 3.0i.